We share five of our favourite finds around the internet this week. 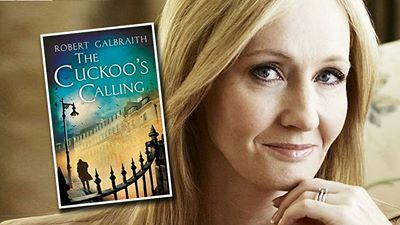 Perhaps the juiciest literary news this week has been the unveiling of Harry Potter author J.K. Rowling as the author of The Cuckoo’s Calling, a well-reviewed but modestly selling crime novel published under the identity of Robert Galbraith. UK Bookscan revealed that barely 500 copies of the book had sold in bookshops before Rowling’s celebrity status was attached to the book. Rowling’s publishers have just reprinted 140,000 copies to meet demand. (Just 1500 copies had been ordered by bookshops.) Vulture has released a list of ten Harry Potter hallmarks in The Cuckoo’s Calling. It has now been revealed that Rowling’s lawyers are the source of the leak: one of the partners at the firm told his wife’s best friend, in a confidence that was not kept. Rowling is ‘very angry’. Australian crime writer P.M. Newton published a terrific piece on ABC’s The Drum in response to the Galbraith Affair; she says the real story is ‘what happened to a well-written book, adorned with blurbs from respected authors on its cover, reasonably well reviewed and blogged about’. Which was: nothing. The Melbourne Writers Festival programme was launched today - and we’re partnering with the festival in a couple of key events. Sheila Fitzpatrick, a historian of modern Russia, will take us In The Soviet Archives. And Tony Wheeler will talk to Tom Doig about his travels in Congo DRC, Colombia, Haiti, Nauru, Pakistan, Palestine-Israel, Papua New Guinea and Zimbabwe. Bethanie Blanchard interviewed director Lisa Dempster about the programme for Liticisms today. 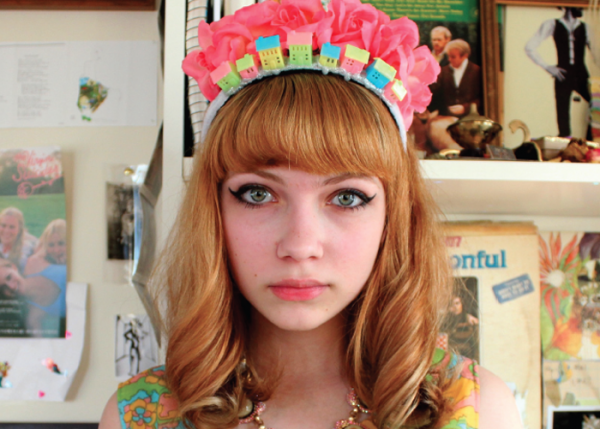 Writer and blogger Tavi Gevinson is one of the international guests of this year's Melbourne Writers Festival. A breakthrough discovery that sharks are colour blind has led to the development of two new wetsuits, designed to protect wearers from shark attacks. The ‘Elude’ is designed to camouflage wearers from sharks, while the bold blue and white striped ‘Diverter’ is ‘intended to mirror nature’s warning signs’ and signal to sharks that the wearer is not a potential food source. McDonalds has partnered with Visa to create a website showing its employees how to budget on their minimum wage salaries. Interestingly, their sample budget includes a second job, on top of their full-time McDonalds job. It’s pretty scary stuff … and the reminder here that the US national minimum wage is $7.25 might make you a bit happy to be living here in Australia.